When Compassion Fatigue hits critical mass in the workplace, the organization itself suffers. Chronic absenteeism, spiraling Worker's Comp costs, high turnover rates, friction between employees, and friction between staff and management are among organizational symptoms that surface, creating additional stress on workers. Healing an organization takes time, patience, and most important, commitment. 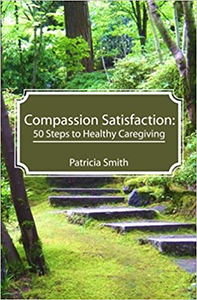 An awareness of Compassion Fatigue and its far reaching effects must be present at the highest level of management and work its way down to encompass line staff, as well as volunteers. Often, the mistrust that employees feel towards management is not unfounded. Since many care giving institutions are non-profit, they inherit additional challenges such as low wages, lack of space, high management turnover rate, and constantly shifting priorities.